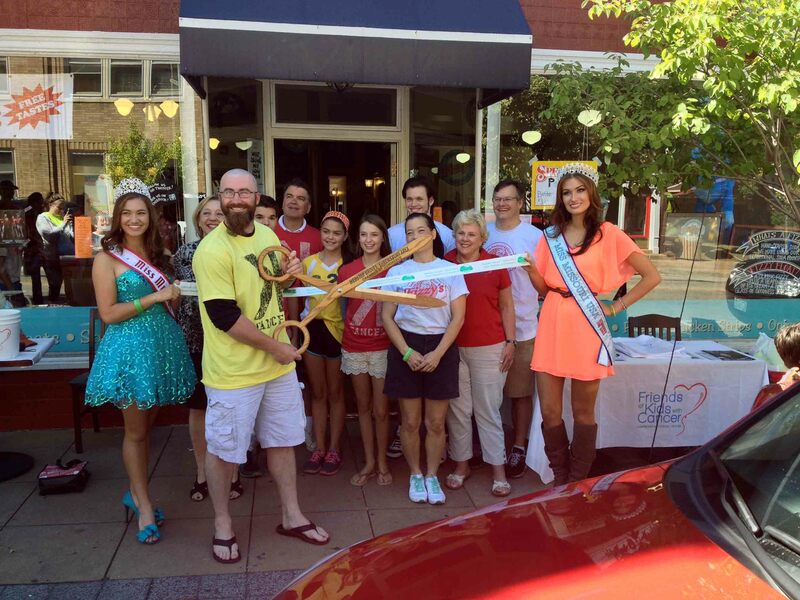 Jason Motte and Fizzy's Fountain Fundraiser is a home-run! We had an amazing fundraiser at Fizzy's Fountain in Webster Groves, MO on September 22! St. Louis Cardinals pitcher Jason Motte came to sign-autographs and meet our patient families. Motte then signed more autographs for the public, while taking donations for Friends of Kids with Cancer! There were carriage rides, balloon-making, face painting, live entertainment and awesome food/drinks. We cannot give enough thanks to Fizzy's Fountain, Jason Motte, The Jason Motte Foundation and all volunteers for helping to put on such an amazing fundraiser. Look at some event photos HERE.